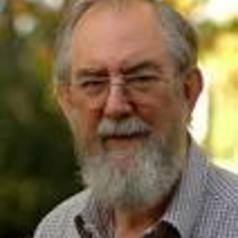 John de Gruchy was born in Pretoria, South Africa, in March 1939. He studied at the University of Cape Town, Rhodes University, Chicago Theological Seminary and the University of Chicago, and at the University of South Africa. An ordained minister in the United Congregational Church. In 1973 he was appointed to the faculty of the University of Cape Town. He retired in 2003 and was appointed a Senior Research Scholar at UCT and an Extraordinary Professor at the University of Stellenbosch, and remains active in both institutions. De Gruchy has a doctorate in theology and another in the social sciences, along with several honorary doctorates. He has lectured in many countries and has authored or edited more than forty books on Dietrich Bonhoeffer, the church in South Africa, contextual, public and Reformed theology, social history, Christianity and the arts, reconciliation and justice, and Christian humanism.